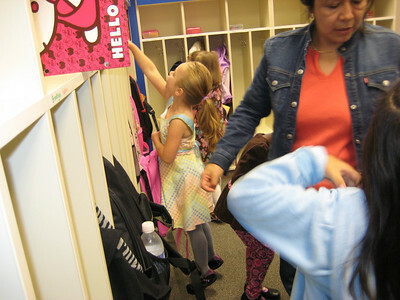 9.10.2009 - First day of kindergarten and the school adventure ensues. She rode the bus and we met her at school where we were able to walk her to her classroom and hang out for a few minutes before the bell rang. 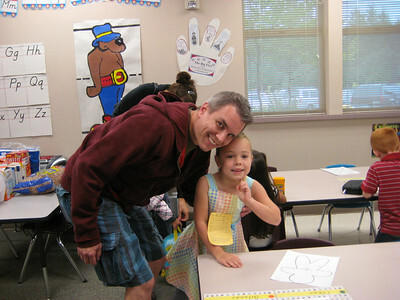 9.10.2009 - First day of kindergarten. Waiting for the bus to come. 9.10.2009 - First day of kindergarten. Getting off the morning bus at school (yes, we met her at school). 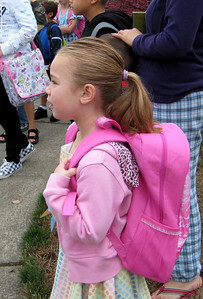 9.10.2009 - First day of kindergarten. A friend she met on the bus. 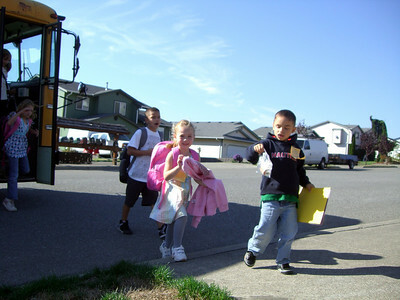 9.10.2009 - First day of kindergarten. Hanging up her backpack and jacket. 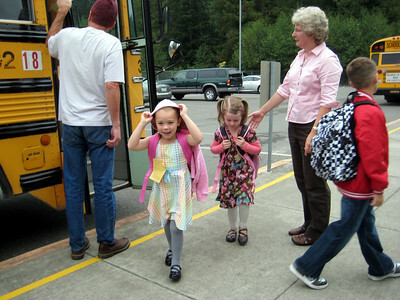 9.10.2009 - First day of kindergarten. A quick shot at one of the tables (this is Orlando's seat...our next door neighbor). 9.10.2009 - First day of kindergarten. At her assigned seat. 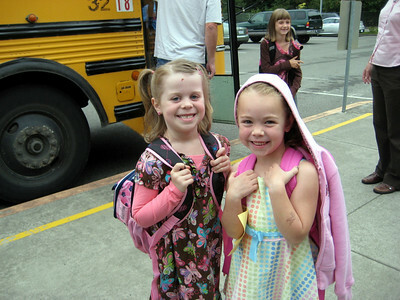 9.10.2009 - First day of kindergarten. Getting off the bus in the afternoon (that's Orlando, our neighbor, to her left).